By now you will know that I am obsessed with the faux fur. 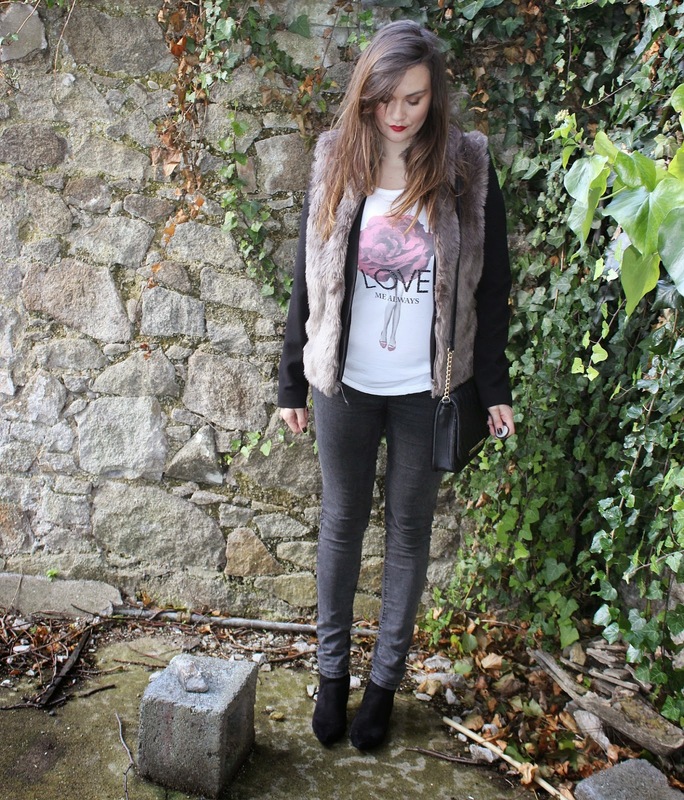 This time I've combined the faux fur vest with a black blazer and a pair of grey skinny jeans. This is my goto shopping outfit or if I am meeting friends casually for a coffee. 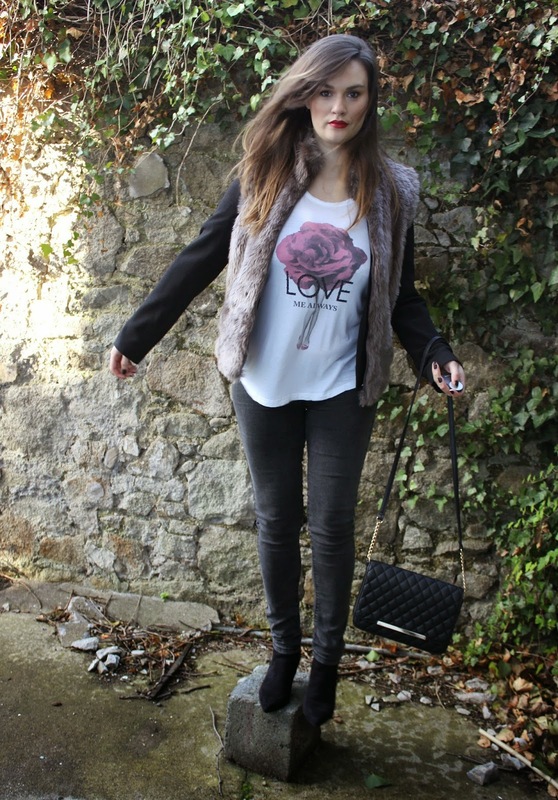 I just love it how the faux fur vest makes the blazer less formal and it also makes any outfit super fashionable in an instant. This would also make a great casual Friday outfit if you work in the office - just an ideal outfit for Autumn, when its still not cold enough to wear a winter coat. Lipstick by NARS "Red Lizard"